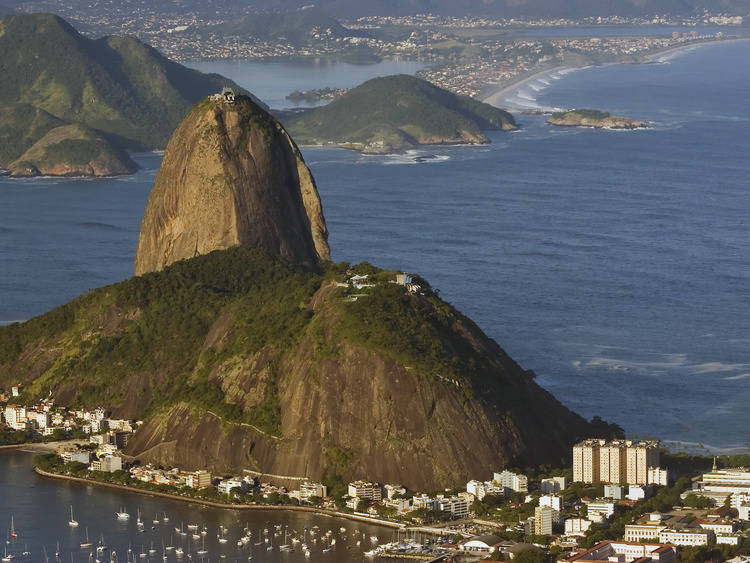 This excursion is ideal for those wishing to discover the most uncontaminated side of Rio de Janeiro as, in addition to enjoying the most beautiful beaches of the city, we can take the cable car up to the Sugarloaf Mountain and relax in a true oasis of local flora and fauna - the Botanical Garden. We leave the port behind us and begin exploring the city. The route gives us the opportunity of admiring Flamengo Park and Botafogo beach before reaching Praia Vermelha in the Urca neighbourhood. A funicular cable ride takes us to the Sugarloaf Mountain, the most famous in Rio de Janeiro and maybe among the most famous in the world for its beauty and the spectacular view that can be enjoyed from the top. Our climb is divided into two stages . After the first, we reach Urca hill with its gardens and panoramic terraces; after the second, we can enjoy a spectacular view over the city, its beaches, Guanabara bay and the Corcovado on the horizon. Our tour continues after admiring this breathtaking view. We go back to the coach and continue along the beaches of Copacabana and Ipanema towards the Botanical Garden. Rio de Janeiro's Botanical Garden is located between the Tijuca Forest and the Rodrigo de Freitas lagoon. It opened in 1808 as a royal orchard and is nowadays a global example of tropical flora and fauna. Surrounded by the chaotic city, this place is a true oasis where birds sing to the sound of waterfalls gushing and the light crackling of bamboo in the background. Accompanied by expert guides, we stroll along the paths and admire imperial palm trees, mango trees and Victoria water lilies. We let ourselves be enchanted by the rose garden, carnivorous plants, orchids and bromelias and discover the 140 species of birds - most of which domesticated - such as parakeets, toucans, highland guans and slaty-breasted rails. Among the other animal species living in the park, there are howler monkeys and marmosets. At the end of this wonderful day, we return to the port by coach.